My sidekick and I made some more progress in the office this weekend. 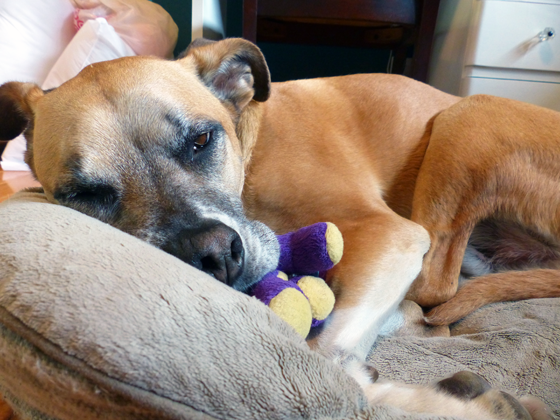 To be truthful, my sidekick snored and snuggled his dinosaur. I made the progress. Beyond making the office pretty, I want to make it useful, organized and tidy. Usually when it comes to storage, I make due with whatever freebies I can find–cardboard cartons, shoe boxes, containers destined for the recycling bin. While sometimes they work, sometimes they don’t. So for the office, I bought proper storage containers. Thanks to all of the sorting and tossing I’ve done, I didn’t need too many. 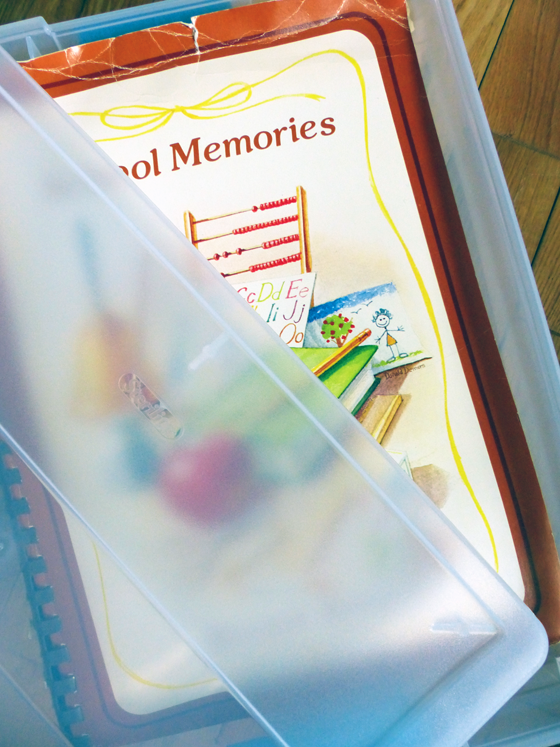 From a big cardboard box full of old school papers, I now have one–much smaller–plastic bin. 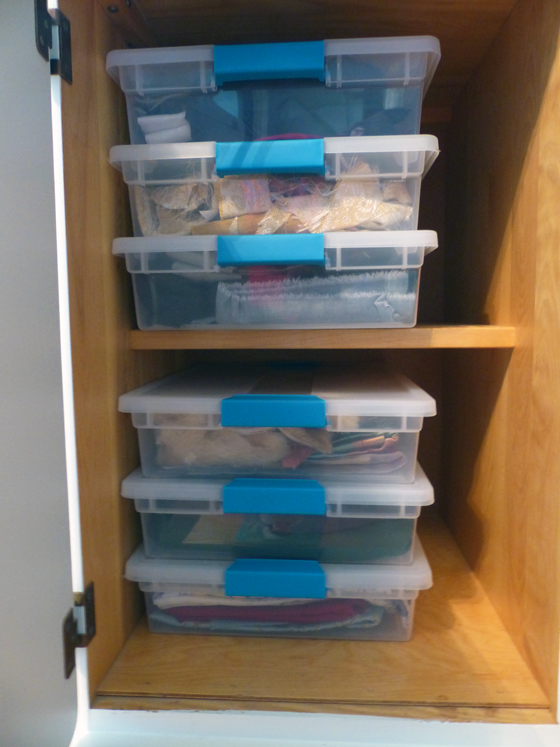 Six smaller containers hold all of my fabric remnants and fit perfectly into one of the cupboards in the china cabinet. 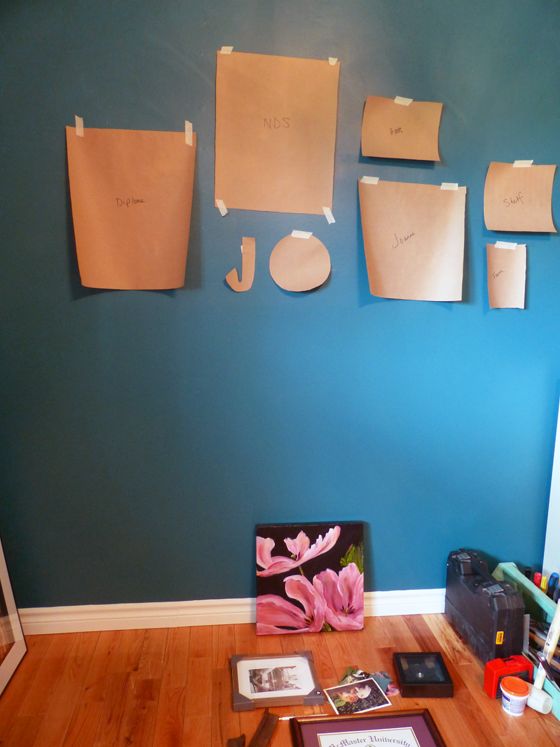 On the pretty side of the office makeover, I worked on the gallery wall. I’m actually not a huge fan of gallery walls. But I when I thought about everything that I wanted to display in the office, I realized that the best arrangement was to put them all together. I am not a patient person, so I tried just laying it out on the floor and translating that to the wall. But it was hard to visualize. I traced each item onto paper and then taped them to the wall. I’m glad I took the time to map it out. 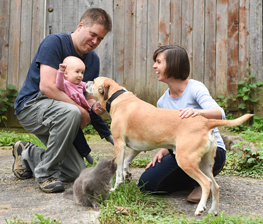 It helped to finalize the layout–and realize that the initial placement was much too high. 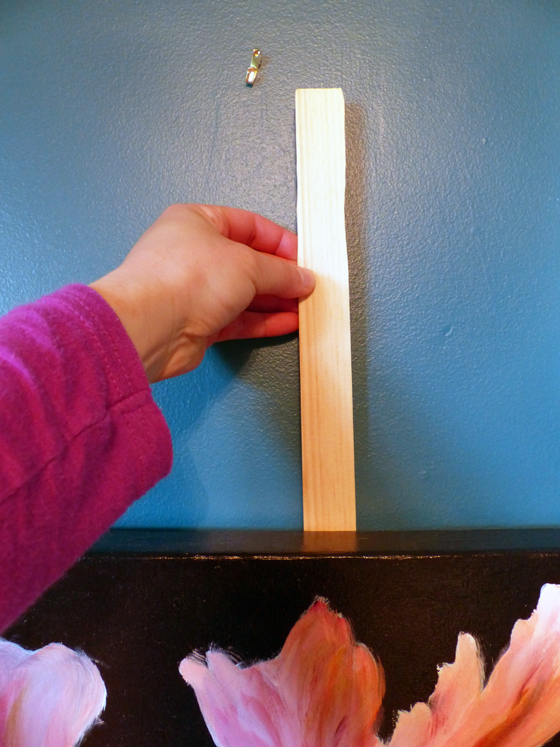 Once I settled on the arrangement, I started hammering nails into the wall right away. But then I had to exercise some patience again. It was hard to get the pictures exactly where I wanted just by guessing where to place the nail. I took a minute to run downstairs and grab a paint stick and a screw. I don’t know why it took me so long to make this little tool. It made hanging the pictures so easy. I’m excited to show you the final gallery wall and the rest of the office next week when the One Room Challenge concludes. 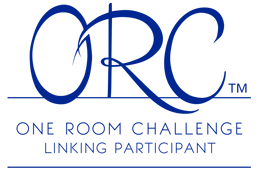 You can check out all of the official participants at Calling It Home. Do you have a gallery wall in your home? How do you handle storage? Who else has a lazy sidekick? It’s definitely not all my fabric. The rest of it lives in the closet. These are truly just remnants and wee little leftovers. I’ll show you the rest of the stash in the reveal! Love following your room make over. I’ve been hesitant to do a gallery wall, but now I have a grand baby and want one. I like the idea of placing the paper on the walls first. It’s definitely a good way to lay it out. Although I’ve realized that the colour of your various art pieces and depth of them (I have a couple of more shadow box-esque pieces) should also be considered.